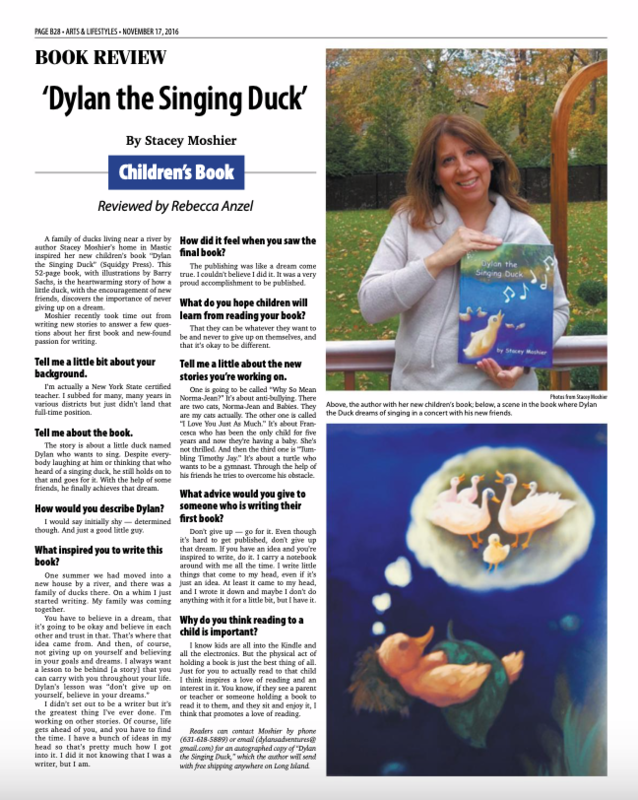 The Arts & Lifestyles pull-out section published this piece in print on Nov. 17, 2016. 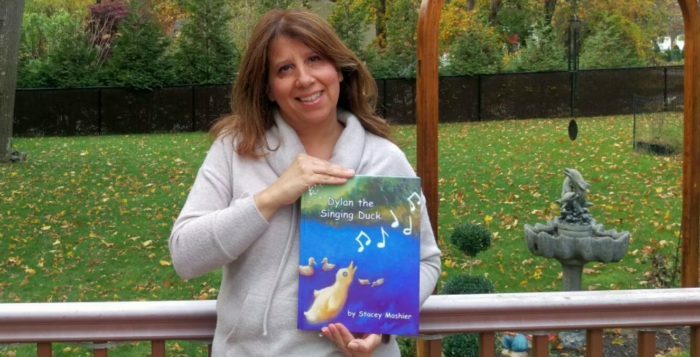 Dylan the Singing Duck’s author with her new children’s book. 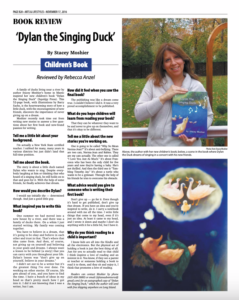 Photo from Stacey Moshier.